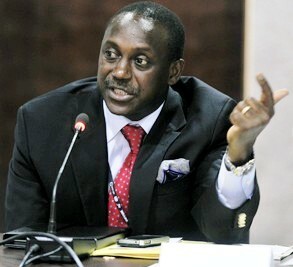 One of the hottest contenders for the presidency in Sierra Leone at the 2017 elections, is Dr. Kandeh Yumkella, who is currently serving as the Special Representative of the UN Secretary-General and Chief Executive for the Sustainable Energy for All initiative. Kandeh’s job is to mobilize global commitments and partnerships, aimed at promoting clean energy economies and to generate jobs. Prior to this appointment, Dr. Yumkella was the director-general of the UN Industrial Development Organization (UNIDO), where he honed and utilised his leadership skills and industrial innovation expertise. Whilst the 2017 presidential elections, which Kandeh has so far not ruled himself out, may be three years down the line, today he faces a massive challenge, trying to get the world leaders to join his global energy crusade. But Yumkella is as philosophical and conceptual as ever. 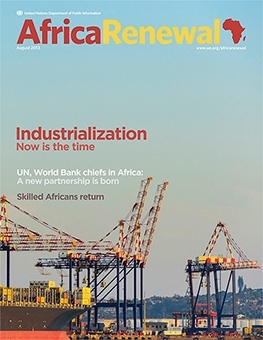 Speaking recently with the UN Africa Renewal’s editor – Kingsley Ighobor, Yumkella highlights the challenges facing the African continent meeting its energy requirements. Why should Africa pay attention to energy? First, Africa is the most energy poor continent. The energy capacity of 40 sub-Saharan African countries combined is less than the capacity for the 20 million people in New York. Also, some African countries – such as Mali, Burkina Faso and others – Sahelian and landlocked, pay more for a kilowatt hour of energy than the rest of the world. In some African countries, it is between 30 and 50 cents for a kilowatt hour, compared to 4 to 17 cents in most countries in the world. Also, without access to energy, our whole industrialization and transformation agenda is in jeopardy. If you take Nigeria, Sierra Leone and many other African countries, for example, every factory or restaurant has a generator. It’s already adding 20% to 30% to their cost of operation. Their factories cannot be internationally competitive. How does Africa tackle its energy challenges? First of all, we have to consider energy as a major input to development. Second, we have to include it in our planning processes, particularly now that we are planning 20 to 30 years ahead. Third, we must mobilize domestic and international resources to invest in the energy sector. Fortunately, I hear African leaders saying the right things about energy now. From the prime minister of Ethiopia to the president of Ghana it’s the same message. If you take West Africa, for instance, most countries are discovering oil and gas. They must not do what Nigeria has done: flare gas — burning it for 50 years now, almost $2 billion to $3 billion burnt every year. Meanwhile, Nigeria cannot generate even 4,000 megawatts for its 170 million people. That should not happen anymore in Africa. One of the initiatives we are promoting now is zero flaring. But it’s not just zero flaring for its own sake; it’s how you use that gas to generate energy for your people. 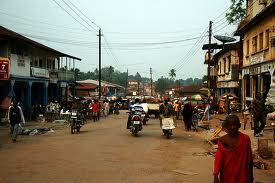 Ghana is one of the most electrified countries in West Africa – almost 72%. But almost 80% of the population still use charcoal and firewood for cooking. How receptive are African governments to your ideas? They are very receptive now. Tanzania and Mozambique have as much gas as Kuwait. President Kikwete is very clear: they will use part of their gas to generate power. He is going to sell some of it. He will do downstream processing for fertilizers and for LPG [liquefied petroleum gas] for cooking solutions. He will also invest in solar and wind because he has those resources. Kenya wants to invest heavily in geothermal – heat from underground. The whole of East Africa – Rwanda, Ethiopia, and Kenya – is sitting on geothermal, which is what has transformed Iceland. I have met with President Blaise Campaore of Burkina Faso. His country depends on Côte d’Ivoire for 40% of its electricity. President Macky Sall of Senegal is an energy engineer. They all see the need for what we are talking about. But wha t practical steps are they taking? This is part of my job. How do I then motivate these leaders and help them organize an integrated energy market? To get the investments we need, governments need to formulate energy plans of at least 20 years, not ad hoc. The good news is that a number of banks are beginning to look at the energy sector. 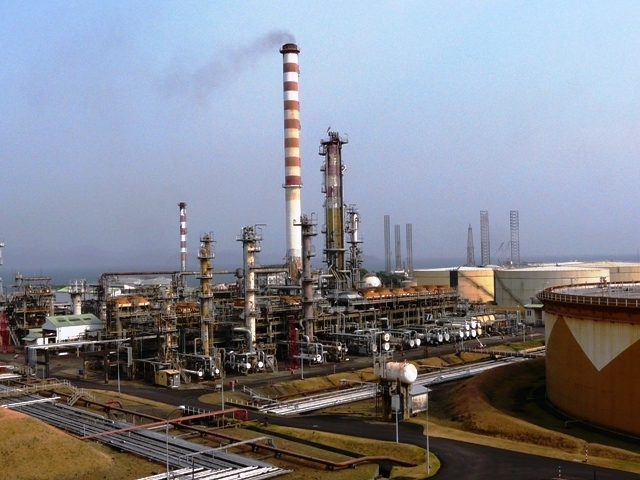 Aliko Dangote [Nigerian businessman] and others just raised $3 billion for a refinery in Nigeria. 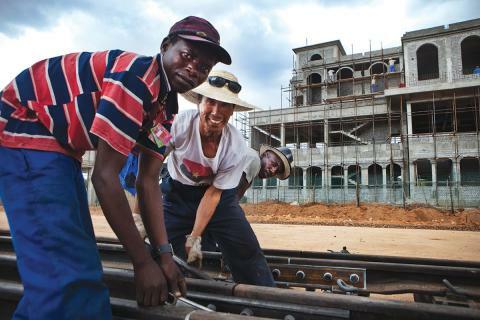 Ethiopia is collaborating with donors to construct a huge energy infrastructure. Is that an example for others? Yes. The late President Meles Zenawi took a decision to build the Renaissance Dam. Let me tell you why I like the Ethiopian drive for the dam. They are raising money through internal taxes. They are looking to China and others to come as partners. They are saying ‘we are going to sell half of the energy to Kenya and other neighbours, like Sudan.’ You need larger markets for such big projects, and you need the transmission lines that run across countries. President Barack Obama’s energy initiative is expected to plug into the Africa Development Bank’s sustainable energy fund, which is now a multi-donor fund. Very far. It’s a $16 billion project. What’s interesting is that it’s the model for my initiative – how you use public money to leverage private capital. If you see President Obama’s formula, it’s $7 billion from government and $9 billion from the private sector. The good news is: some African players are ready to invest. The European Union has also given $400 million. But Africa needs about $300 billion for its energy sector? We need a whole lot. So the figures we are talking about are comparatively small? The amount of aid money that is going to the energy sector is about $9 billion. To achieve universal access to energy, energy for the 1.4 billion people who currently have no access, we need $50 billion a year. To go from $9 billion a year to $50 billion a year is a lot of work. It looks like the challenges are huge? The Secretary-General [Ban Ki-moon] says that energy is central to any development process. Between 60% and 70% of the green house gases come from energy production and use. If you don’t deal with energy, you can’t deal with climate change, you can’t solve sustainable development. 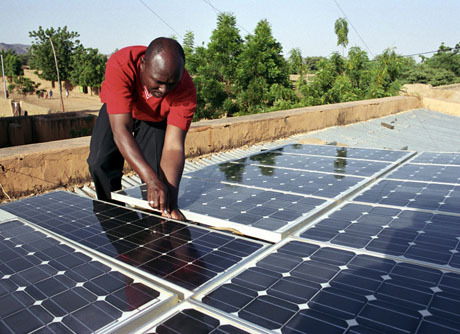 It looks to me that Africa can actually lead in energy alternatives? I believe so. We have the advantage to leap frog. I always give the example of mobile phones. I was in Nigeria when they privatized mobile communications. Before then, there were about 400,000 or less telephone connections. Within one or two years, the people had millions of mobile phones. Part of our slogan is: we can do for the energy sector what we did for the mobile phones. What did we do for the mobile communications? They had clear public policies that all the investors knew would last 20 to 30 years; they had clear investment protection legislations in place; they unbundled the sector – privatised it. Our people can deploy solar, wind, renewable energy, hydro and biomass. Should the focus be on sustainable green energy? Our drive is towards low carbon energy sources. But, right now, it’s all energy sources. Why should we burn gas? Why shouldn’t we use it for power generation? Gas is less polluting than coal – 50% less. There is no reason why Nigeria cannot be a gas power house. Norway, the second largest gas supplier in Europe, sixth largest oil producer in the world, wants to go 100% renewable for electricity in a few years. They are already at 80%. Brazil is on its way to being an energy independent country. They have proven ethanol technology. They have just discovered huge deposits of oil off their coast. Still they are pushing renewable heavily. How soon do you think Africa can get to its energy dreamland? Nothing is impossible. I see this possible within two decades. Suddenly, Africa is growing faster than ever before. Suddenly, many of us are discovering more minerals than we ever thought we had. It’s about governance; it’s about vision and management. I am optimistic. I see some momentum now. I see African businesses and banks mobilizing their own cash. This is a positive sign that we have not seen in the last two decades.